"The sheer brazenness of this criminal enterprise is incredible"
identity theft empire from his jail cell. property tax claims with the Michigan Treasury Department. of being sent to various addresses in Detroit. forwarded to a P.O. box in a nearby Detroit suburb. by the inmate while he was in prison! harm to your financial future. 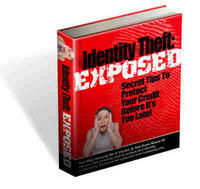 which no credit report was ever designed to catch. Only in America can 3 time convicted felon be able to continue to operate. The fact this guy operated his criminal enterprise from his prison cell is just absolutely incredible. What's next - identity theft from the White House? Yes, it does sound incredible - but sadly it's true. Oh, by the way, on the "what's next..." question you left us. We looked into your question further as one of our editors seemed to recall some buzz in the recent past regarding theft allegations of a White House aid. It turns out the former domestic policy advisor for President Bush was accused of theft and fraud which lead to him resigning before the actually charges hit. Identity theft seems to be a real epidemic sweeping this country....or should I say "sickness"....one in which no one is immune. As you guys have pointed out priests, parents, daughters, cops, teachers, and even a senior white house advisor all have fallen to the identity theft bug. Keep exposing the truth for all the rest of us who are too busy trying to survive and make ends meet. Your "tip of the day" feature along with the audio podcast of identity theft prevention advice really comes in handy....and after the recent week of articles you've published seems to be a necessity for the other half of American who's next on the victim's list. Our aim, as former identity theft victims, has and continues to be one of service to those who might be saved from the ravages of identity theft.